Aside from Litecoin, most coins under our preview are trading below important support levels. 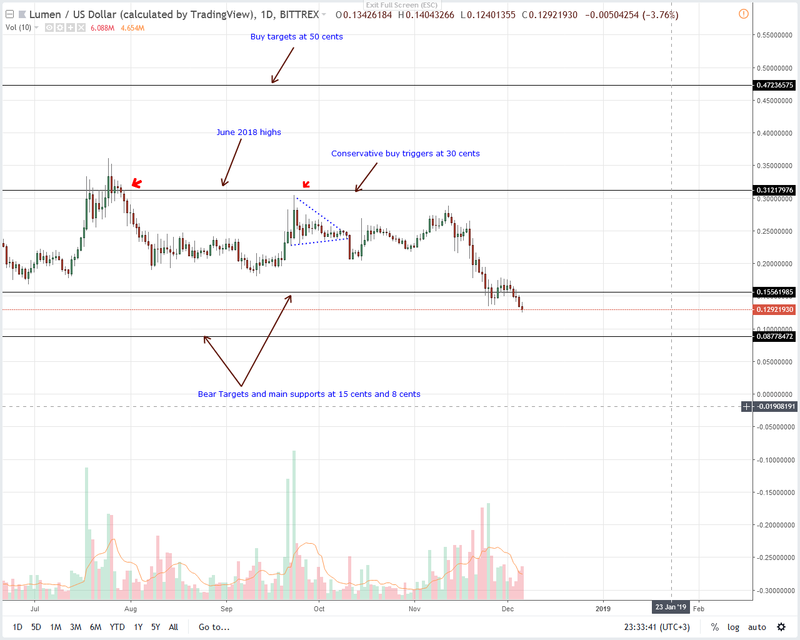 After breaking below 15 cents, we expect Stellar Lumens prices to drop to 8 cents while Cardano’s losses could see ADA print new 2018 lows. No doubt, losses are steep in EOS/USD pair. It is even made worse by centralization claims, Dan Larimer project hopping and the obvious block producer corruption. 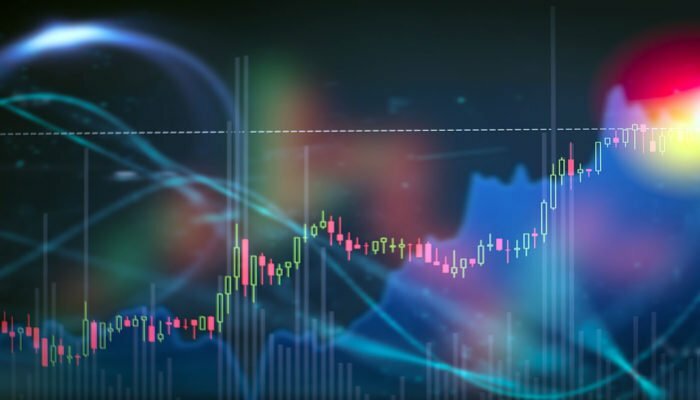 At spot prices EOS is down 11 percent in the last day pushing weekly losses to 39 percent but it could get worse for the coin especially if we take a top-down approach factoring in candlestick alignment in higher time frames. 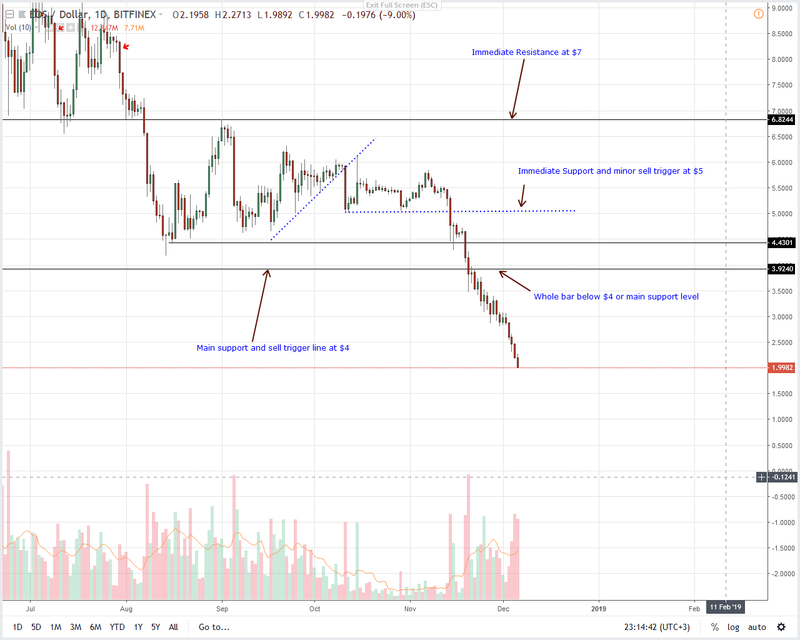 Considering that EOS/USD is trading within a confirmed bear breakout pattern thanks to losses below $4 by week ending Nov 25, it appears as if bears will crash below $1.5 and print $0.5 by the January if this rate of erosion is maintained. 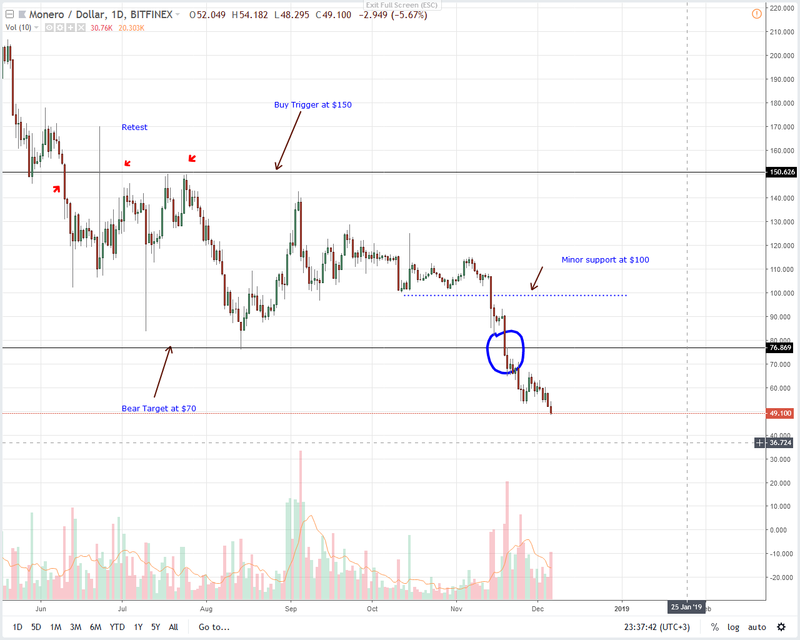 Like in our last EOS/USD trade plan, we expect a recovery but every high should technically be a selling opportunity unless there are gains above $3.5 at the back of strong volumes reversing yesterday’s and this week’s losses. By design, Litecoin is BTC’s silver and notwithstanding the selloff, you can purchase stuff from 241 different merchants. As a matter of fact you can buy the new HTC Exodus. The blockchain based gadget retails for 19.84 LTCs. Still, LTC/USD is struggling against bears but unlike the degradation in other pairs, prices are steady and consolidating horizontally. 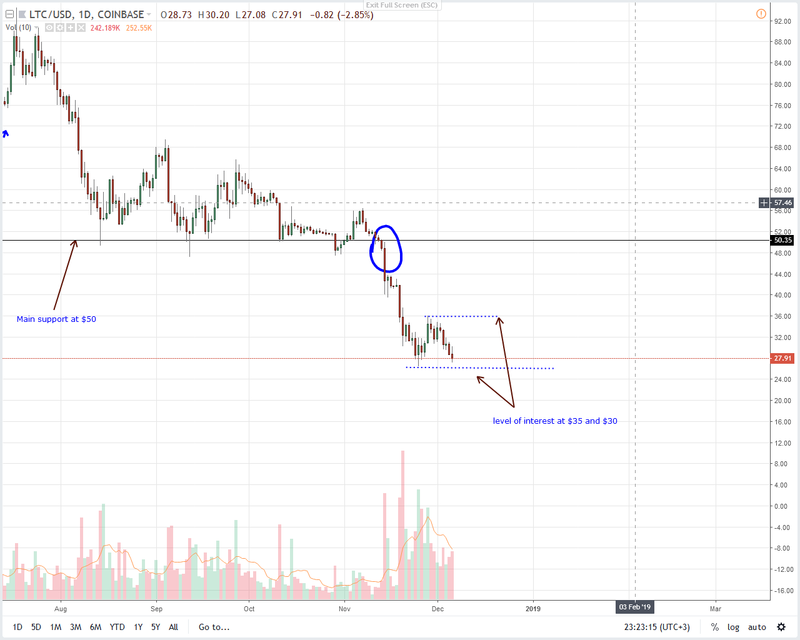 LTC is down four percent in the last day but unless there are gains above $35 we shall maintain a bearish outlook expecting mid-November sell-off to continue if sellers breach Nov 2018 lows at around $25. Remember, as per our iterations, this meltdown shall trigger a wave of sell pressure and LTC could break below $20 and even test $3 by end year. BitGo is the first multisig wallet and custodial service provider to offer support for Lumens. The mission statement of the company is to deliver trust in digital currency and they describe themselves as “The leader in security, compliance, and custodial solutions for blockchain-based currencies”. This endorsement is a big thing for XLM as it will be more appealing for institutional grade investors keen on channeling their funds into the space without risking loss. Back to the chart and XLM is still at fourth but with $400 million separating it from USDT, a “flip” is inevitable more so if yesterday’s losses spill over to today. And it is likely that sellers will press the gas pedal today now that we have a clear close below Nov 2018 lows. 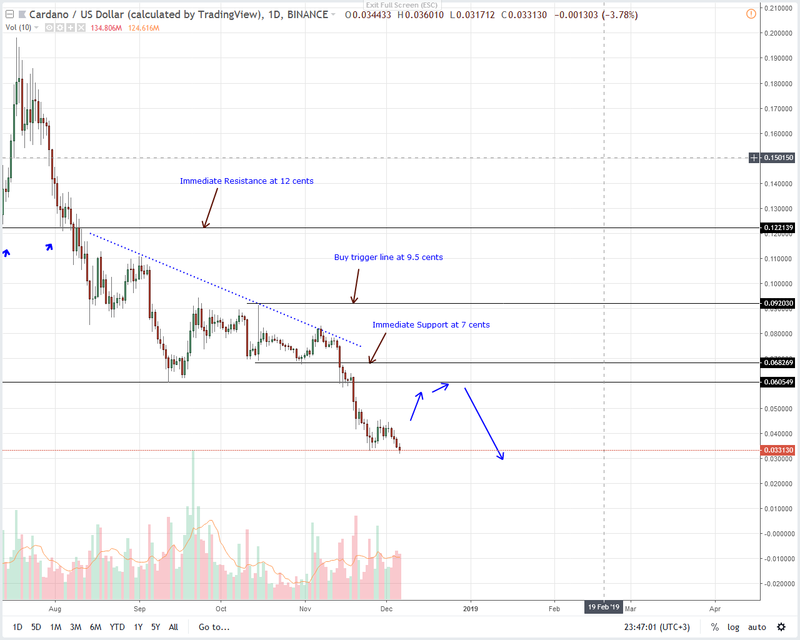 As a result, we expect XLM/USD to drop further towards 8 cents in a clear break out pattern following nine moments of horizontal consolidation within a 15 cents trade range. 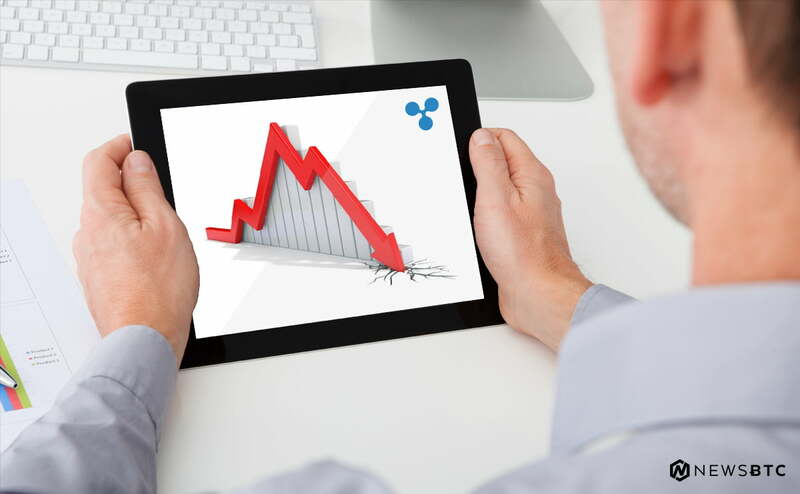 Clearly, XMR is on a slide and after clear breakout below $70, sellers are undoubtedly in control and eyeing $30 thanks to steady losses of the last two days. Moving on, we shall retain a bearish outlook and expect XMR/USD to retest $30 or lower if bears maintain the pace of this draw down. After eight days of lower lows, sellers have finally wiped out gains of Nov 28 effectively dashing bullish expectations of late Nov 2018. Besides, ADA prices are trading below Nov lows at 3.3 cents meaning our last ADA/USD trade plan is valid. In that case we expect ADA to print lower dragging its market cap lower. Because of this it is likely that ADA shall drop off from the top 10 with Tron making a comeback. Price wise, this sell-off should technically continue unless there are spikes above 4.5 cents completing the Morning Star pattern set rolling by Nov 25 bull attempts.